​On October 21, 2017, at 9:00am, the Liberal Police Department held a Simulated Scenario Training class for members of the community. During the class, attendants learned about the police department’s use of force policy, and when officers are justified to use the appropriate amount of force in certain situations. 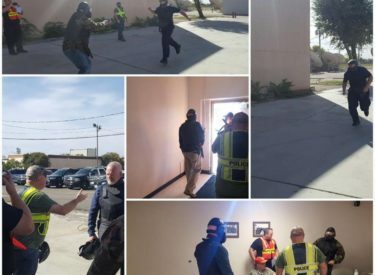 ​This class consisted of several scenarios that put the attendants in situations where officers throughout the country find themselves in on a daily basis. This class was intended to allow the general public to see things through the eyes of the police officers as each situation unfolded, and not as a person who can judge the officer’s actions by using hindsight. ​The class helped to open communications between officers and the participants, and due to the overall success of the training, the police department plans on holding this training annually in order to help bridge the gap between officers and the public. ​If you would be interested in participating in this class, please contact me, Lt. Chris Head, at 620-626-0517.